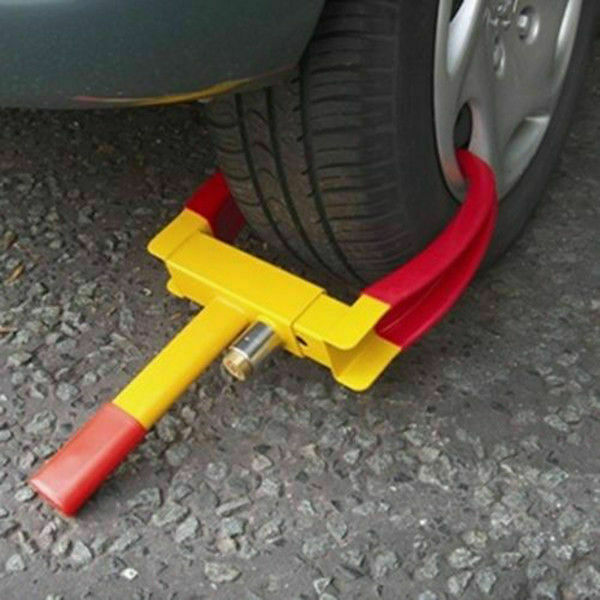 This Heavy-Duty Lock Clamp is a perfect anti-theft device. It is a must have one for sake of your car's safety. Use the wheel lock on my campervan. It feels very robust and fits onto the wheel easily. My only concern would be whether it could be forced off but it certainly acts as a deterrent. Wasn't sure how sturdy this would be for the price, but we have used it a few times and it seems absolutely fine. A quick and efficient additional safety feature for preventing a theft of a caravan etc. Not yet put to the test but visually a deterrent. I had a trailer stolen with a quality ball hitch protector. The thieves took the trailer with the protector in place. I am hoping that this unit will prevent a recurrence.